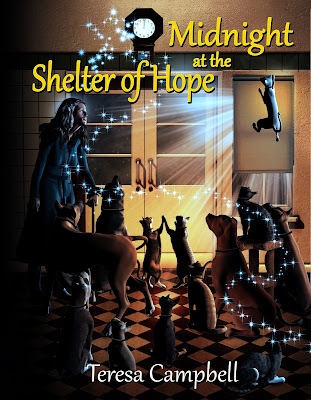 Celebrate Independence Day with a free Kindle download of Midnight at the Shelter of Hope (available July 4 - July 8). Happy 4th of July. SCUBA - October 18, 1995-April 12, 2010. You will always be missed old friend. Ne Obliviscaris. KEIKO - Born to play, Couch-eater, Wanna be Alpha Dog. NORMAN - April 19, 2001 - September 5, 2013. You will always be missed, Big Dog. TOBY - September 10, 2002 - December 6, 2010. We miss you Hell Dog.